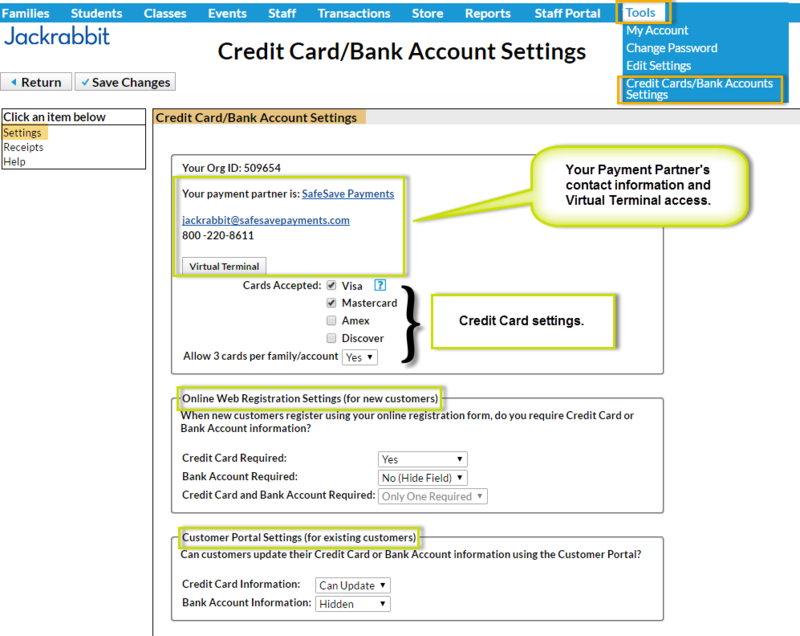 All of the settings regarding your use of the ePayments functionality in Jackrabbit are centralized in the Credit Card/Bank Account Settings from the Tools main menu. Note: In order to see this option in the Tools menu the User ID must have the Credit Card/Bank Account Settings permission in the Tools section. Edit User ID permissions from the Tools menu > Manage Users & Permissions.